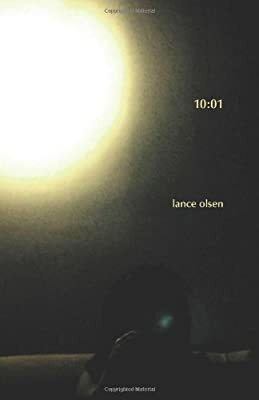 Author: Olsen, Lance Set In . . . Description: Fiction. You're sitting in a darkened theater, waiting for the movie to begin when American culture explodes all around in I-Max, Sensurround, Technicolor--this is the experience of reading Lance Olsen's brilliant 10:01, a novel in frames that unreels the random thoughts of a random movie audience: a screening of our own moment that Olsen lights with the white heat of a a projector beam. Be sure to check out Lance Olsen's other titles at SPD, including SEWING SHUT MY EYES.